The holidays are a great time to catch up on reading with your children. While there is no lack of storybooks and literature available for young children as a whole, there are some challenges that are unique to the LGBT community when it comes to sourcing wholesome reading material for children in the family. If you’ve experienced a lack of children’s books that deal sensitively with the subject without creating stereotypes and value judgments, you are not alone. 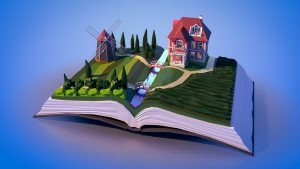 Our site, MyFamilyProducts.com, was created to generate more awareness around this situation as well as to support the creation of storybooks that you can read with confidence with your children. Conceptual books that teach alphabets, numbers, shapes, colors, animals, flowers, objects, and geography are a great starting point for young children. Kids also find books that feature nursery rhymes and poems an enjoyable route to developing language skills. Books that have pop-up elements, flaps that open up to reveal pictures underneath, or those that encourage touch-and-feel for exploration, are also good tools to develop the learning ability in children. Board games, puzzles, and books that encourage memory, guessing, and problem-solving are all excellent choices for skills development. Coloring books encourage hand-motor coordination and are a good addition to your list of learning resources. Kids storybooks that feature values such as respect for others, unconditional acceptance, forgiveness, punctuality, and cleanliness are especially valuable to discuss and instill specific qualities in your children. Kids particularly enjoy stories that they can relate to, featuring schools, friends and playmates, or family situations that they can resonate with. Keesha’s two moms surprise her by taking her on a special trip to South Africa for her birthday. Join Keesha and her parents on this adventure as they explore the stunning landscapes, exotic beaches, ancient caves, colorful markets, and an exciting safari in this beautiful country. Suitable for ages 5-8, or grade levels 1-4. This storybook emphasizes openness to new people, places, and things. Buy the book here. 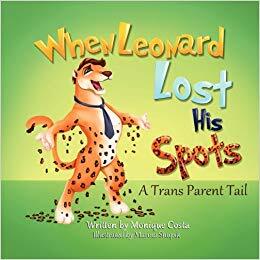 “When Leonard Lost His Spots” is a compassionate story, written from the perspective of a young leopard cub, detailing the tale of a beautiful lioness who discovers that she was born in the body of a male leopard. The story is a good discussion point to explore themes of unconditional love, sensitivity, and open communication to develop understanding. The book is suitable for ages 4-8. Buy the book here. “Family Pride! 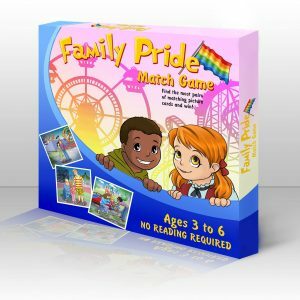 Memory Match Game” is the very first game which proudly features LGBT families as well as other families of diverse make-ups, including straight, Muslim, and Jewish parents, as well as grandparents. This is a game that everyone in the family can enjoy together. To play this game, all cards are placed face up in a grid and then flipped over. Players take turns to flip pairs of cards to see if they get matching sets. The person with the most matching pairs wins. This one-of-a-kind game is an excellent resource for sharpening memory and recognition in both children and adults. Buy the game here.